There’s a new leader at the helm of the wholesale insurance brokerage, programs and financial services company, Breckenridge Insurance Group, and while he’s coming up on nearly 40 years in the insurance industry, this next chapter in his career rounds out an already diverse catalogue of experiences. “For more than 20 years, I’ve been on the underwriting side, dealing with wholesalers, MGAs, program administrators, and binding authority brokers. 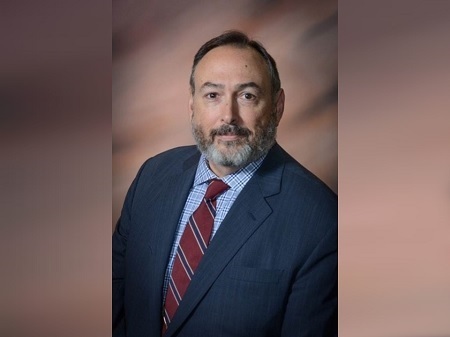 I bring that perspective of being able to speak their language, having negotiated with them and done business with them, so it was actually a natural evolution for me to move over to the brokerage side,” said David A. Jordan (pictured), president and chief executive officer of Breckenridge. The company is well known for its diversity and inclusion initiatives, one of which is the BreckINspire diversity committee, which provides programming and educational opportunities. The new CEO plans to stay on this path, especially as the insurance industry more broadly focuses on bringing and keeping a younger generation onboard. There’s no question that the wave of retirements is real, added Jordan, and those who have enjoyed a career in the industry so far have a responsibility to recruit, train, and mentor the next generation of insurance professionals, so that this business can keep on thriving. As he looks ahead to 2019, working closely with agents and getting insight on their pain points is at the top of his to-do list. The insurance industry as a whole is meanwhile experiencing its own challenges. “There are certainly pockets of poor results and corrective actions needed, whether it’s New York contractors or coastal property or medical malpractice or EPLI on the west coast – the list is frankly quite long – but we all have ideas on how to make products available to the marketplace and I think that’s the value of the specialty insurance industry,” commented Jordan, adding that there’s no denying that results have been far from perfect in many lines of business, in part due to catastrophes. In the midst of these road bumps, Breckenridge is working hard to make sure that its brokers and underwriters are aligned with the markets that can help deliver the right solutions to retailers, alongside other strategies to ensure long-term success. “We are looking at continued investments in both people and technology to help our folks do their jobs more efficiently, and we’re looking at new product lines where our retail agents have said, ‘we need help,’ and we’re excited about being able to deliver that to them,” said Jordan.